Classic, Charming Rowayton Victorian circa 1898 with modern, bright, clean, cheery, elegant feel, with view of the Five Mile River. Primary residence, well maintained with quality furnishings, home features gourmet kitchen, renovated baths, original moldings, hardwood floors, and many period details. Well furnished and decorated. Great flow for family, friends and relaxing on the porch. Beautiful border flower and rose gardens enclosed by a picket fence. One to five minute walk to excellent restaurants and markets and shops and Rowayton Arts Center in Rowayton Village. Short, five minute walk to Wee Burn Beach Club and to Roton Point Association and Bayley Beach. Pinkney Park, The Nature Preserve and the Rowayton Library are nearby. 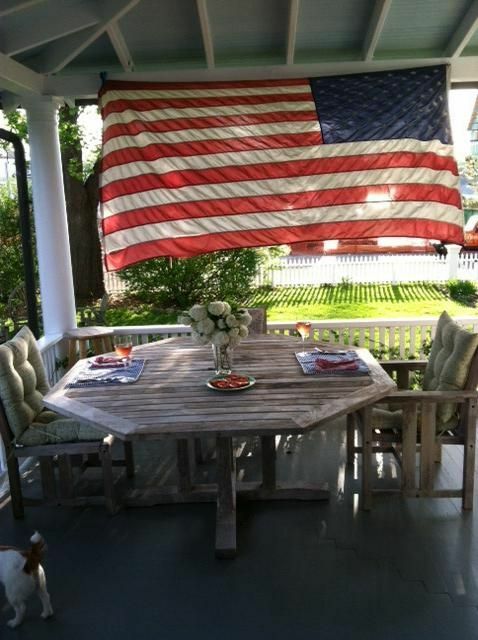 Come visit family and friends in Connecticut in Darien, New Canaan, Stamford, Westport, Norwalk including Rowayton. Come from near or far. Escape the city for a week or long weekend! Well know authors Crockett Johnson and Ruth Krauss lived in this house from 1945 to 1973, where they wrote the books "Harold and the Purple Crayon" and "The Carrot Seed". They mentored and frequently hosted in the home their friend Maurice Sendak, author of "Where the Wild Things Are." This past Friday, I spent the afternoon at Crockett Johnson’s house — 74 Rowayton Avenue (Rowayton, Connecticut), where he and Ruth Krauss lived from 1945 to 1973. Though I wrote their biography and had seen (and photographed) the house from the outside, I’d never been inside. I’ve seen all of their homes from the outside, but — hesitant to intrude on residents’ privacy — not actually been into the homes themselves. Since I was in town to give a talk that evening, Gil and Kim Kernan (the current owners) kindly invited me to spend some time in their home. My visit was one of the happiest events occasioned by my Johnson-Krauss biography. Feel free to inquire about dates not currently listed. Thanks! Dining in kitchen, dining room, seats 8 or on front porch, seats 8. Cable TV with premium stations through AT&T U-Verse service. Sonos system on first floor and on front porch. Extensive library on the 3rd floor. Amazing house the owner went all out to make sure we had waters, coffee, everything we needed. The owners treated us like family. We were visiting the Connecticut coast for the first time and it was beautiful. Everything within walking distance, beautiful beach, kayaking, SUP’s great dinning. Sunset cruises available close by, breathtaking views. Lots of room in the house and it was decorated perfectly for a beach home, the quintessential New England beach home. We would love to stay her again. Perfect place to do the city and beach all in one weekend. Incredible! This home is centrally located, has a beautiful, big yard, and is incredibly livable. It was perfect for our family visiting from out of town to really feel the magic of what it's like to live in a quintessential seaside village! Great location. Cozy, clean home. My family really enjoyed the home. It is convenient to town, there is a lot of history with the house, and it had the perfect amount of space. The owners were also very helpful and checked in to make sure everything was going well. Thank you for letting us stay in your home! We booked fairly last minute and we're so glad we did. Gil made us feel incredibly welcome, including our dog with a supply of tennis balls. The house is beautiful and comfortable and you feel at home immediately. We spent the weekend enjoying the what the small town has to offer and much of that was done from the wrap around covered porch, just watching the world go by. We would love to go back. Amazing property and the owner's are great! We spent a week at the house with our two kids and my mom. What an amazing house with an amazing location. This is the perfect house for a family getaway. The house is gorgeous, bed's are super comfortable and the owner could not be nicer. Everything you need food wise is just a short walk away and there is a small grocery store down the street for essentials. For more in depth shopping the local larger grocery store is maybe a 5-10 minute drive. Absolutely love this property!